Most of us need to stretch our grocery food budget, but when you have kids this need to save can become even more urgent. The grocery bill just doesn’t go as far these days, especially when there are more family members to feed. Plus, if you decide to stay home with your kids, using coupons can be a way to contribute financially to the household without working outside the home. Either way, it is extreme couponing to the rescue. Can I Do Extreme Couponing with Kids? 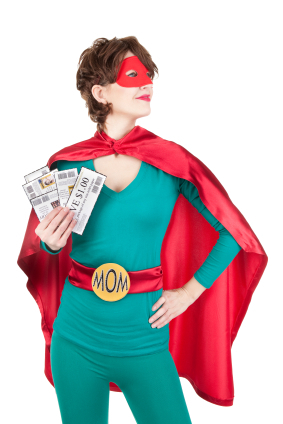 Super shoppers can definitely practice extreme couponing while raising their kids. The key is to start slowly and work up to whatever time and effort that works for you and your family. Don’t compare your weekly stockpile hauls to others and don’t expect to be able to get completely up and running right away. Even extreme couponers who don’t have kids at home can take years to get to the point of saving thousands of dollars on groceries. Plus, you don’t want to spend hours and hours a day away from your family in order to get the deals. 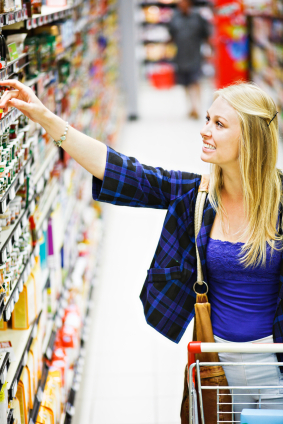 Incorporate the following shopping tips for extreme couponing with kids. 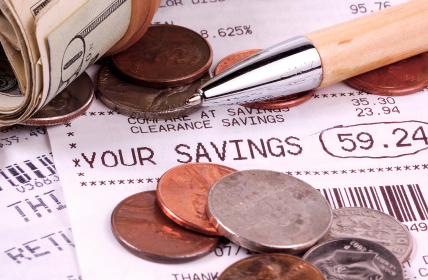 Your kids can learn valuable money saving skills, as well as math skills such as addition and subtraction while clipping coupons. Even little ones can practice their scissor skills with coupons (start them with some extra insert pages that you don’t need). There is also sorting, writing practice and more. Plus kids can feel important and get a sense of accomplishment. Older kids can be paid a small “fee” to cut coupons for you, or calculate how the savings will add up to a family goal, such as a vacation to Disney World or a new big screen television. If you donate some of your haul, explain to your kids where the products are going, thanks to grocery coupons, and how they will be able to help others in need. While running to do a couple of small drugstore deals with kids might not be too bad, when it comes to the big extreme couponing trips, you might want to leave the kids at home, at least when it comes to any children under ten. Young children can be a distraction in the store that can really affect the shopping results. There may be times when you have to recalculate deals on the spot, talk to the manager or visit the customer service desk. Plus doing a major shopping trip can take hours. Try time to time your big shopping deals day to a time when you can go without the kids. How can you shop alone, you ask? If you don’t have a spouse or family member to watch the kids, offer to trade baby sitting with another extreme couponer or split a portion of your free products with a friend in exchange for child-free shopping. If this isn’t an option and you will have the children with you, try to break up your shopping into smaller more frequent trips. Assign the kids different roles such as finding the yogurt, pushing a cart, counting out items or checking things off of the list. Hand your child a coupon that has a picture of the product and ask him or her to find it on the shelf. Some of these “games” can go a long way to helping you accomplish your extreme couponing goals while shopping with kids. How do extreme couponers get their steak for only pennies a pound or load their carts with hundreds of boxes of cereal for free? The secret here is overages. Without overages, it can be difficult to get such extreme couponing results. When the value of a coupon exceeds the price of a product, that is overage. For example, if you have a $.75 toothpaste coupon that doubles to $1.50 and toothpaste is on sale for $1.00, that extra $.50 is considered overage. For stores that allow overage, the extra $.50 gets applied to the rest of your order. This is a wonderful strategy for getting free and low cost groceries. The stores are literally paying you to take the groceries off of their hands. That is what extreme couponing is all about. How Does Overage Help Extreme Couponing? Extreme couponers know the value of overage in their order. This is part of the reason that many of them buy so many multiples of products. In the example above, a coupon expert might buy 100 tubes of that toothpaste, winding up with an extra $.50 each or $50 worth of free credit to spend on other products at check out. That $50 can then be used to help pay down other parts of your grocery order, such as items that normally don’t have coupons, like meat and fresh produce. Or it can be applied to the other items on your list that may already be reduced with coupons but not free. At one time, all of the grocery stores automatically gave overage when you use coupons. I remember my early days of couponing when I would buy things to donate and walk away with cash back. These days, however, getting overage by using coupons is not that easy. Many stores have clamped down on the practice and have issued policies against using overage. If you see anything in the store policy that says anything about the coupon amount not to exceed the product price, then you know that store won’t give overages. Because overage can be such an important part of extreme couponing, the savvy shoppers know exactly where to shop and which grocery stores give overages with coupons. If you do a little research, you can find out this information pretty quickly. One of the ways that extreme couponers get such amazing deals at the grocery store is by using multiple coupons. They can get these coupons through Sunday inserts, coupon booklets and coupon clipping services. But more and more these days, couponers really need to have printable coupons to get the extreme deals. Printable coupons have been increasing in value while Sunday insert coupons and other already printed coupons are becoming harder to find or going down in face value. These coupons are still a very important part of extreme couponing, but it is almost impossible to get $1,000 worth of groceries for $10 if you aren’t using printable coupons. Coupons.com, manufacturer coupons, RedPlum coupons online and other sources of printable coupons often limit the amount of coupons that each user can print. You may only be able to print one or possibly two of the same coupon. This greatly limits the amount of savings and stockpiling you can do. Extreme couponers sometimes buy hundreds of the same product in one trip. The only way that they can do this is with multiple printable coupons. So how do these extreme couponers get all of those coupons to print when the rest of us can only print out one or two of the same coupon at a time? They get around the limitation with a couple of different tricks. First of all, most people who practice extreme couponing have invested in multiple computers. With multiple computers, they will have access to multiple ISP numbers. Since these sites tend to identify a user by that ISP number, having more than one makes you into multiple users. This way, they can get more coupons. Another way to be able to get a lot of printable coupons is to ask friends and family for them. Depending on how many people are willing to do this for you, you can get enough coupons for your trip. Some stores will allow you to print coupons out at the in store kiosks that are available. I’ve never done this myself, so I don’t know if there is a print limit or how the store controls this. Finally, you may be able to pay someone to print the coupons for you. 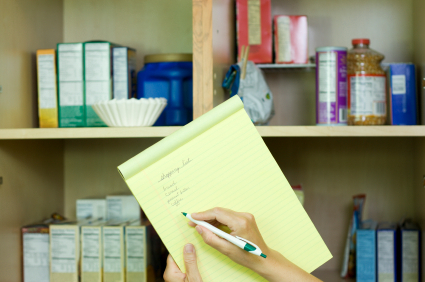 In general, the more grocery coupons that you can get, the more extreme couponing you can do. This sometimes leads people to obsessive methods of obtaining coupons. There are less ethical ways to get more printable coupons, such as printing them at work or even hacking the system to get more coupons. Obviously I don’t recommend these methods. I don’t think the extra savings is worth being dishonest, and the “tricks” often make it harder to use coupons in the long run for everyone. There are plenty of great grocery savings with coupons without resorting to some of the less savory methods of couponing. 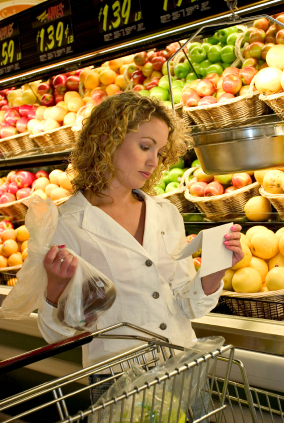 While the TLC show Extreme Couponing makes using grocery coupons to get free food look easy, the reality is that there is a lot that they don’t tell you about the process. One thing that is misleading is the amount of time it takes to practice extreme couponing. Not only does this time commitment apply to the effort it takes on a daily basis but also in the amount of months or years it takes before you can get to the point where you are getting most of your groceries for free. Most experts in extreme couponing have perfected their techniques over years. While it is true that with the Internet and coupon classes, new extreme couponers can get up and running more quickly in the past, learning the tricks of extreme couponing is just one aspect of getting the most value from your grocery dollar. 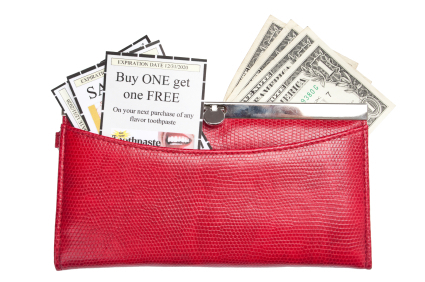 The way that extreme couponing works is by matching coupons to sales, promotions and rebates. The problem is that sales and promotions, as well as coupons, are cyclical. This means that they operate on a 12 month basis. You have to have at least a year of stockpiling to get to the point where you don’t have to shop for anything but the hottest sales plus fresh perishable items. Otherwise, you will be supplementing your shopping trips in order to feed and supply your family with enough groceries. Adding just a few items to your list that aren’t part of your extreme shopping will up your grocery bill past the amazing totals that you see on the Extreme Couponing show. For example canned pineapple and baking products will be at their lowest prices around Christmas and the winter holidays. Many coupons for these same products are released then as well. You’ll have to stock up on everything that you need for the entire year and have a place to store it all. If your stockpile doesn’t have a lot of variety and enough quantity of all of the products you use, then you just won’t get to the extreme savings. Sometimes the best coupons don’t come out at the same time as the best sales. For example, there was an influx of Pillsbury refrigerated dough coupons during the holidays, but the best sales were happening in February. So, the extreme couponers who have been following the patterns for years knew enough to hold on to those coupons to use later. While it seems very daunting, don’t despair. You can still get some of the benefits of extreme couponing as soon as you start shopping smart. One of the things that they don’t tell you on the Extreme Couponing shows is that very rarely are the free groceries actually free. There are hidden costs that you can incur when you practice extreme couponing, and I am not talking just in time or effort or gas from running around to different stores. If you aren’t careful, you can spend a lot of money getting your groceries for free. While many extreme couponers get a lot of coupons for free, the reality is that in order to get the awesome deals, you just have to pay something for coupons. Why? Because Sunday insert coupons can vary by region. Usually the coupons with the highest values are often available to regions where the sales aren’t as good, stores don’t double, or new products are being marketed heavily. This is in order to drum up sales for particular items. What this means is that in order to match up a super coupon with a super sale and get items for free or money back on your purchases you may have to find coupons that aren’t available in your area. Coupon clipping services charge anywhere from 2 cents to 50 cents per coupon, depending on how valuable and in demand that coupon happens to be. So, when you see someone giving a cashier a hundred coupons, they may have paid up to $50 for those coupons. Spending only $50 in order to get $300 or $400 worth of groceries is still worth it of course, but it isn’t as free as the extreme couponing show makes it out to be. 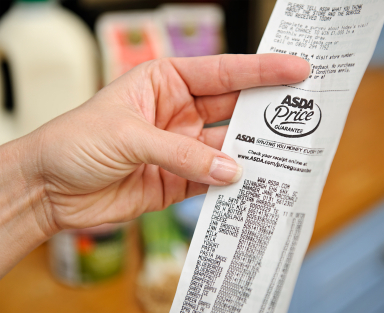 Printing coupons can cost money in a number of ways. 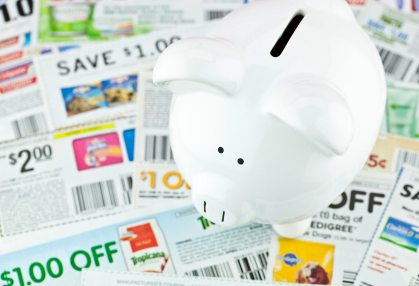 The cost of paper and ink can get expense, especially if you are printing multiple coupons. Most printable coupons print one at a time on a single page. You can sometimes reuse the paper, but often you will have some paper waste associated with printing coupons. Most printable coupons also have limits on them. it is just impossible for the average person to print 50 manufacturers coupons from the Internet. You can often only print one or two coupons of the same kind per computer. To get around this, many extreme couponers buy extra computer equipment in order to print extra coupons. This is an added expense that could be hundreds or thousands of dollars. Some people opt to once again buy printable coupons from others. Usually the cost of printable coupons is higher than insert coupons because of the expenses involved with printing them.